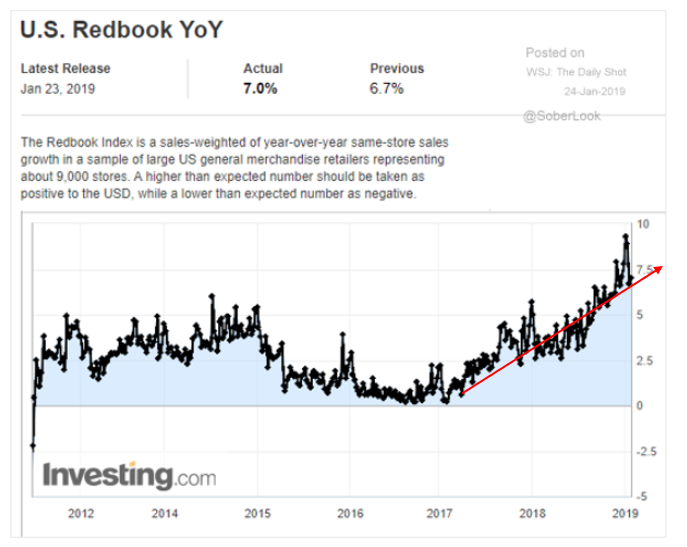 Keeping up with the ever-changing retail landscape, Redbook same-store sales index remains strong with a sample of large American retailers, suggesting that retail sales are holding up. 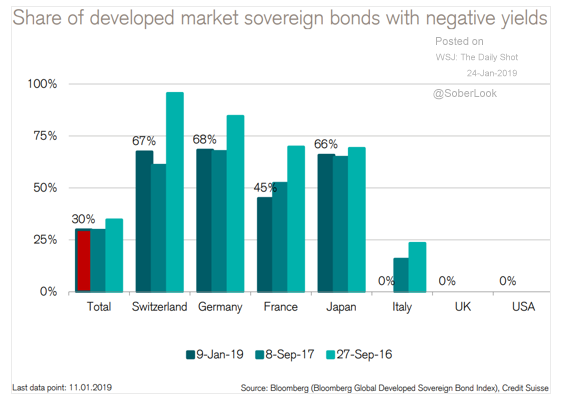 We question, however, where is all the negative yield debt? We’ve been saying consistently it is time to talk about the R-word. 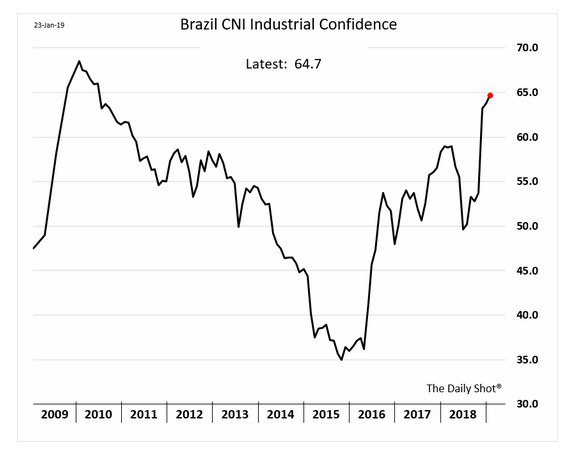 Seemingly, it is on the minds of others too. 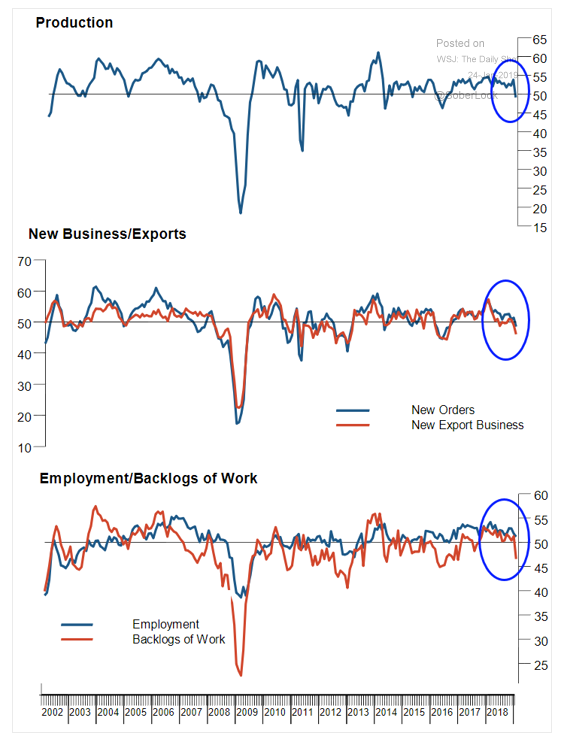 On a manufacturing note, Japan's manufacturing activity has decelerated. 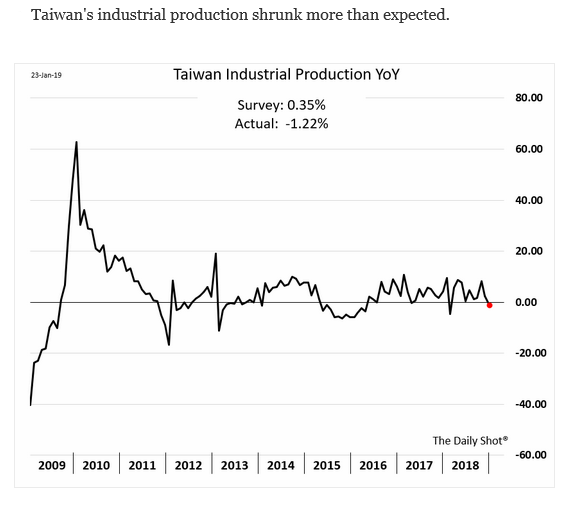 Taiwan is reflective of Japan's situation and we share more economic indicator updates in Australia. 1. The U.S. consumers' relative health is showing up in strong, sustained spending. 4. 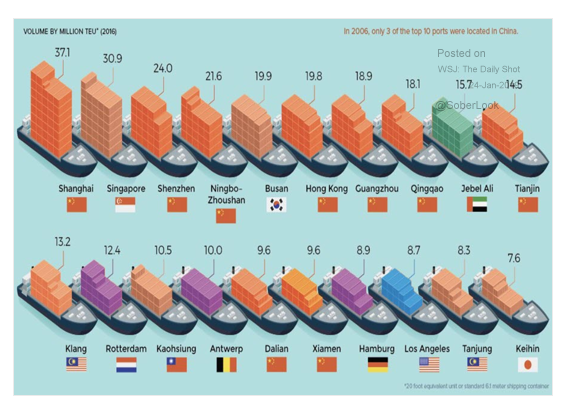 9 of the top 20 busiest ports are in China, only one is in the U.S.
5. 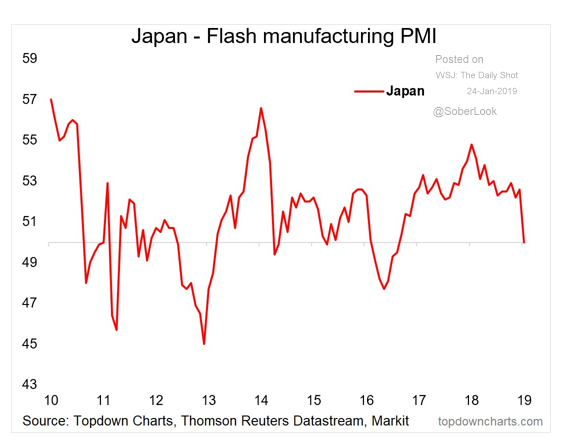 Like China, Japan's manufacturing index is now at the DMZ (50), the line between growth and recession. Did you catch our content in the blog introduction up top? 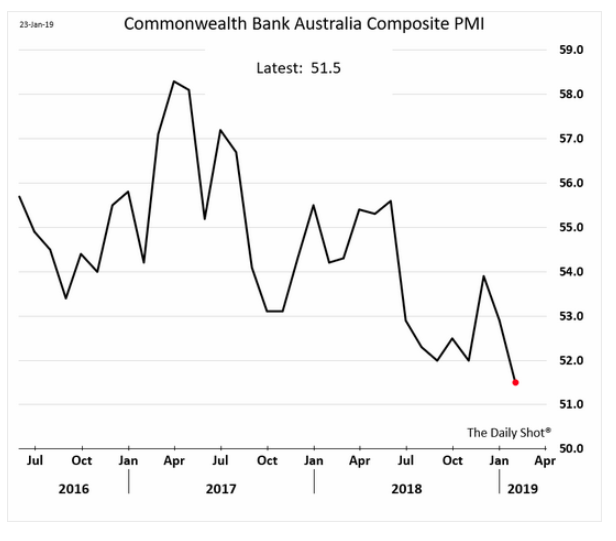 As we like to say, we cannot promise or predict when the next recession will hit. 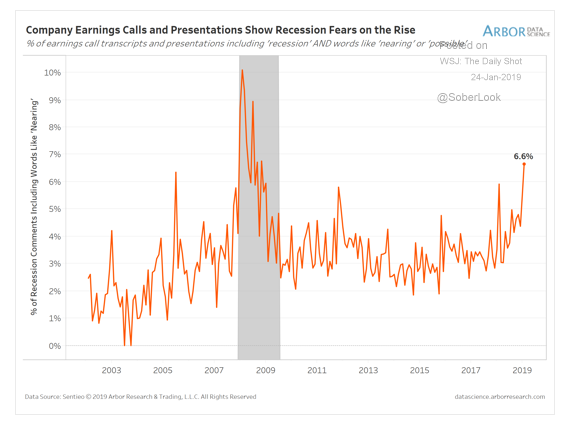 But just as markets come up, they will come down and for that reason plus more it is important to start talking the R-Word: A Recession!